Creative design, use of finest materials and skilled craftsmanship are at the heart of this British brand of luxury accessories. JLYNCH is the brainchild of Jaci Lynch, London designer with extensive experience in development of ready to wear and accessories collections. Her passion for heritage and high quality led to an apprenticeship in bespoke tailoring at the legendary Henry Poole’s of Savile Row and to a Masters Degree in Design and Technology at the London College of Fashion, with the final collection of creative leatherwork exhibited at the Royal Academy of Arts in 2008. Jaci’s background in ready to wear is explored through cut, fit and use of special fabrics and techniques, combined to luxury leathers and elements such as beading and embroidery each season, to produce accessories of unique beauty. She often collaborates with communities of lace makers, embroiderers and jewellers not only to bring unique details to the collections, but most importantly to help promote and support the work of local artisans across the globe. 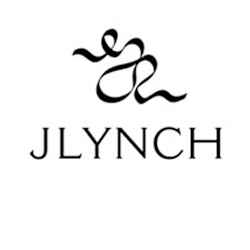 Together with Scottish husband Iain, she launched JLYNCH in 2009 with the goal to create pieces so exquisite that defy fleeting trends, with a lasting power to inspire excitement and desire. Already sold in many of the best department stores and boutiques worldwide, including Le Bon Marche in Paris, Ikram in the USA, Harvey Nichols International, Brian & Barry in Milan and Stunning Lure in Japan, to name just a few, JLYNCH also attracts media and press interest, worn by actresses Sarah Jessica Parker and Freida Pinto and seen on editorials in renowned publications.